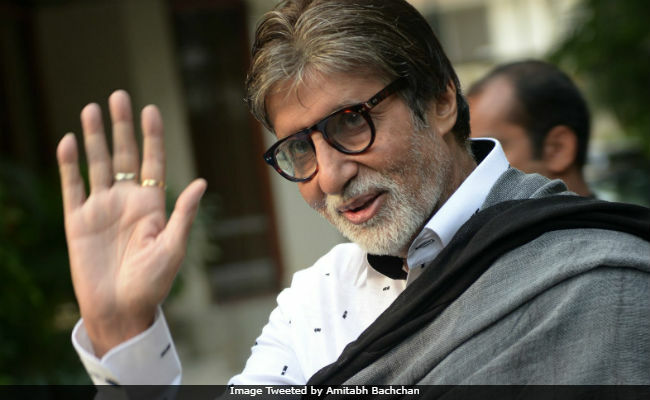 On Thursday evening, megastar Amitabh Bachchan was stuck in the traffic jam for five hours. The 75-year-old was traveling from film city to JVPD scheme, Juhu, which usually takes up to thirty minutes. Big B, posted on Twitter, "A 30 min drive... takes 5 hours...! That's the Phantom movie camera moving at 500 frames per second... film city to JVPD scheme, Juhu... normal camera moves at 24 frames..." Within an hour of posting the tweet, it was liked over 4.1k times. "We feel you," read one comment. However, another Twitter user wrote, "Imagine traveling to Juhu on Sundays when you hold fan meets." T 2765 - A 30 min drive .. takes 5 hours .. ! thats the Phantom movie camera moving at 500 frames per second .. Film City to JVPD Scheme, Juhu .. normal camera moves at 24 frames .. Some time back, when Shah Rukh Khan got stuck in traffic, he made the best use of his time by clicking pictures and sharing them on social media. Remember the black and white selfie, which he clicked on his way to the sets of Zero? "I took this pic in colour on the way to @aanandlrai Zero shoot. It's taken so long in traffic, the colours have faded..," SRK captioned the picture. On Wednesday, Shah Rukh Khan reportedly took a chopper to work to escape the traffic during peak hours. A mid-day report stated that from Shah Rukh Khan's home in Bandra to Vasai, where he'll be shooting for Aanand L Rai's Zero until April 8, would have taken him 'three hours,' so he opted for a 'quicker mode of transport.' "The drive to the location from Bandra is nearly three hours during peak hours. Since that would mean spending six hours in a car every day, Shah Rukh decided to opt for a quicker mode of transport," mid-day quoted a source as saying. One of Shah Rukh Khan's fan clubs shared a picture of the actor on the helipad. Amitabh Bachchan was recently in Hyderabad, where he had been shooting for a cameo in Chiranjeevi's 151st filmSye Raa Narasimha Reddy. Sharing photos from the sets of film, Mr Bachchan wrote: "Narasimha Reddy... the joy and honour of working with Chiranjeevi Garu." He also shared close up shots of his look in the film on Twitter and wrote, "Nirvaan...and the call of the Himalayas...!!" Besides Sye Raa Narasimha Reddy, Big B also has Brahmastra starring Ranbir Kapoor and Alia Bhatt and Thugs Of Hindostan with Aamir Khan and Katrina in the pipeline. He is currently gearing for the release of 102 Not Out, which also stars Rishi Kapoor. 102 Not Out is scheduled to release on May 4.